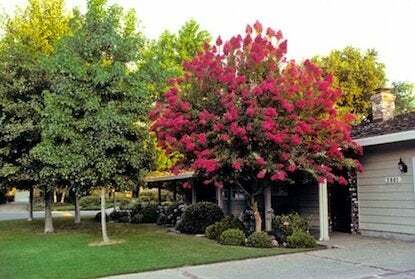 Most people know that planting a tree to shade your house is a great way to keep it cool. But actually, the south-facing façade isn’t the best place for a tree. To prevent summer heat gain, plant trees to the southeast or southwest of the house to block low morning and afternoon sun. Deciduous trees work best in colder climates since they obligingly lose their leaves to let the sun shine in at the start of the heating season. Be sure not to plant trees where their roots could damage septic systems, water lines or your foundation. Plants have a kind of built-in air conditioning system called evapo-transpiration. Replacing paved or bare areas in your yard with low ground covers can turn down the heat by 10 degrees. Vines on a trellis or on a pergola over the patio will also create shade and cool the air naturally. Hardy native plantings are more likely to thrive, so work with nature and stay cooler this summer!